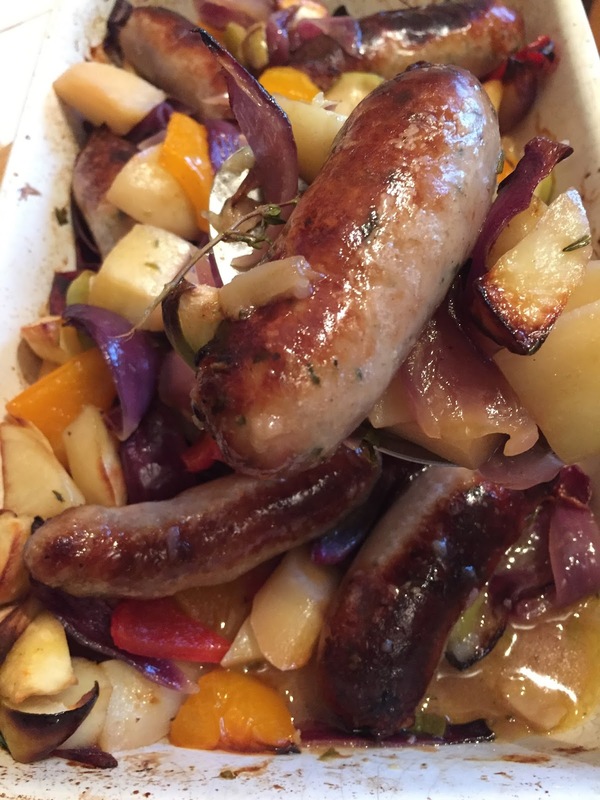 It’s very easy to grab our favourite comfort foods at this time of year as the weather starts to change but we need to also keep eating something thats going to be good for us. Don’t get me wrong, it’s lovely to be having soups and stews but we still require something light. This Autumnal warm salad will boost that vitamin c needed. It is super easy and looks great and colourful. You can also put some squashes in there including using up Pumpkin if you like, which is perfect for this time of year. Those earthy flavours just burst out into this salad pairing perfectly with the honey, fennel and goats cheese. This mixture could even go onto a puff pastry tart or a great pizza topping. 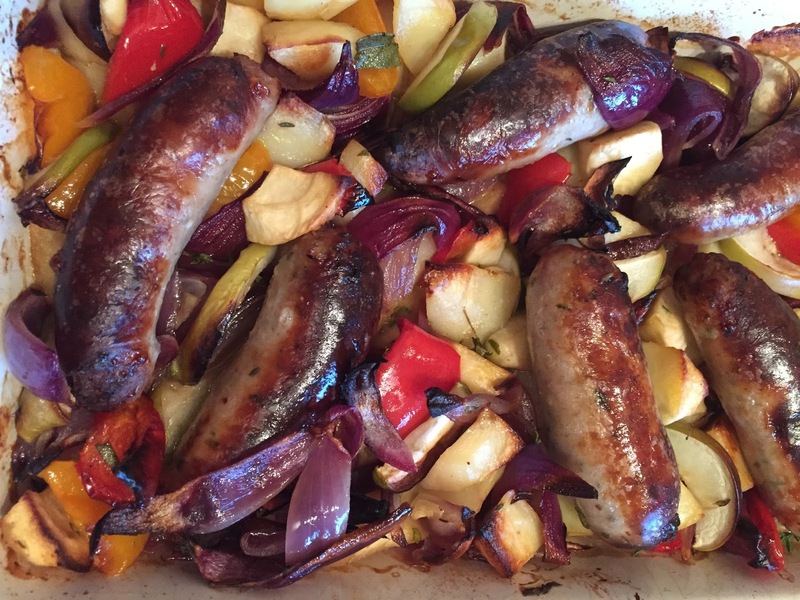 This recipe is for my regular cooking slot on BBC Radio Leicester. Ady Dayman filled in for Ben Jackson who I usually do the show with. I have to admit though, I have felt shocking over the past couple of days. I have been really ill, even as I write this so the recording isn’t usually as thorough as it normally is. I do apologise! However I could’nt let my listeners down and plodded on through as I enjoy doing the show much. More reason why I did this dish really so I could try and boost my immune system! Roughly 2 tbsp of rapeseed oil. A good handful of fresh beetroot 3-4 good size peeled and chopped into chunks ready for roasting. 3 good size carrots peeled and sliced into chunks for roasting also. 2 red onions chopped into chunks. Sprinkle of salt and cracked black pepper to season. 2 handfuls of your choice of greens for the salad. I used mizuna in mine, but you can use any peppery salad such as rocket, watercress or even Spinach. Any oil and honey left in the roasting dish. Use to drizzle over the salad. Par boil carrots for 5 minutes, just to soften them slightly. Then add in your carrots and roast for a further 5-10 minutes. Then pop in your Red onion and herbs. At this point add more oil if needed and coat all vegetables in honey. Place back into the oven and roast for a further 10 minutes or until vegetables are cooked. I like to have my beetroot still having a little bite as it tastes more earthy. Once out of the oven , add fennel and chives to the mixture. Sprinkle in the goats cheese. Place on top of your leaves or toss together. Add any oil and honey from the roasting tin and more goats cheese if you wish. 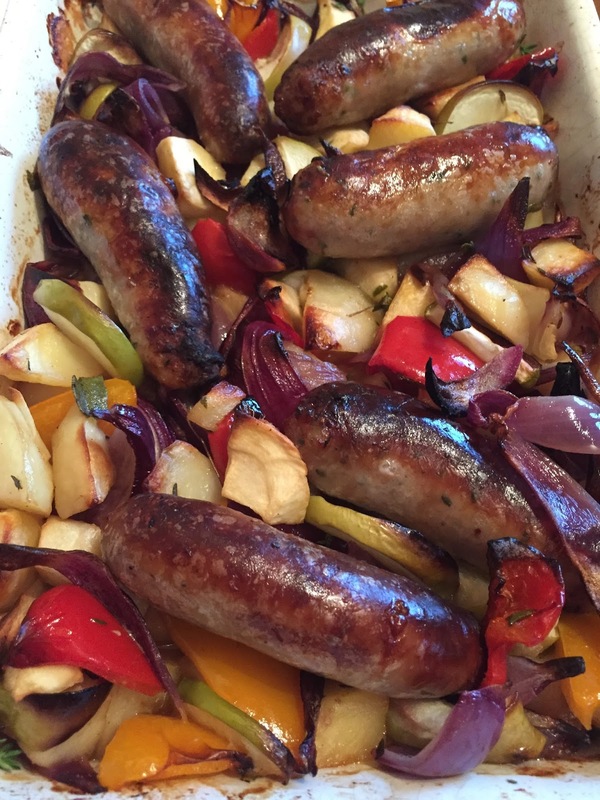 I actually did this recipe back in June this year for my column but I thought it would be perfect to share now as a nice meal change in-between all that Christmas shopping. 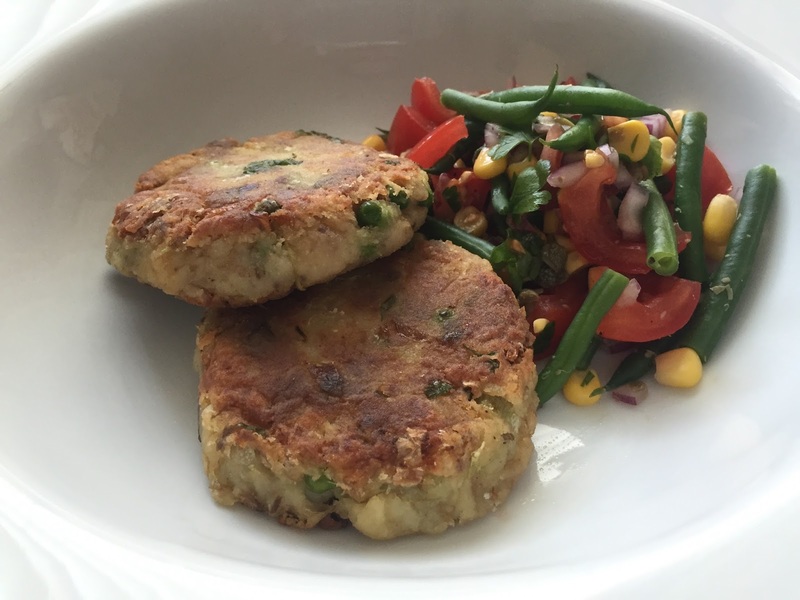 These fishcakes are a great alternative for a fish Friday supper. The green bean salsa gives it more of a lighter feel but will still fill you up. 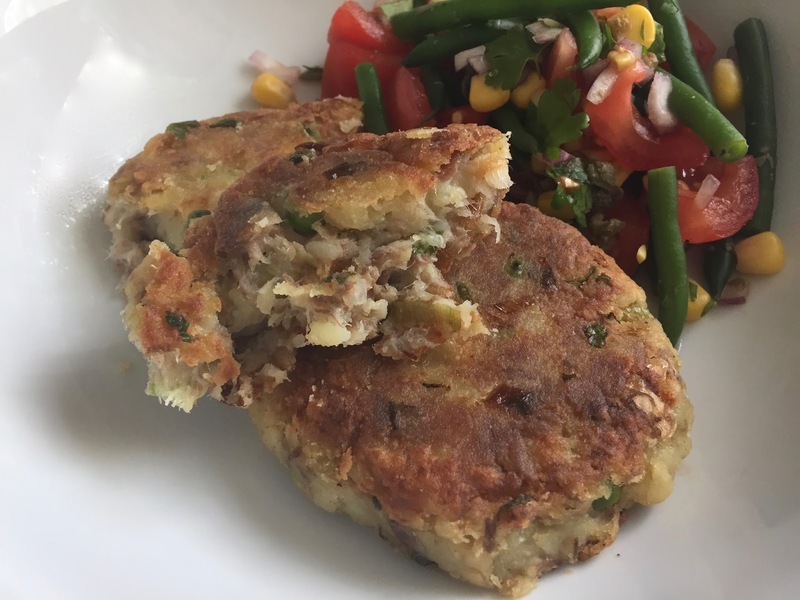 So I wanted to show you how easy making fishcakes can be, as having no egg and breadcrumbs to this recipe, it takes less time. Also this version is healthier than the usual mashed potato used with butter and cream. 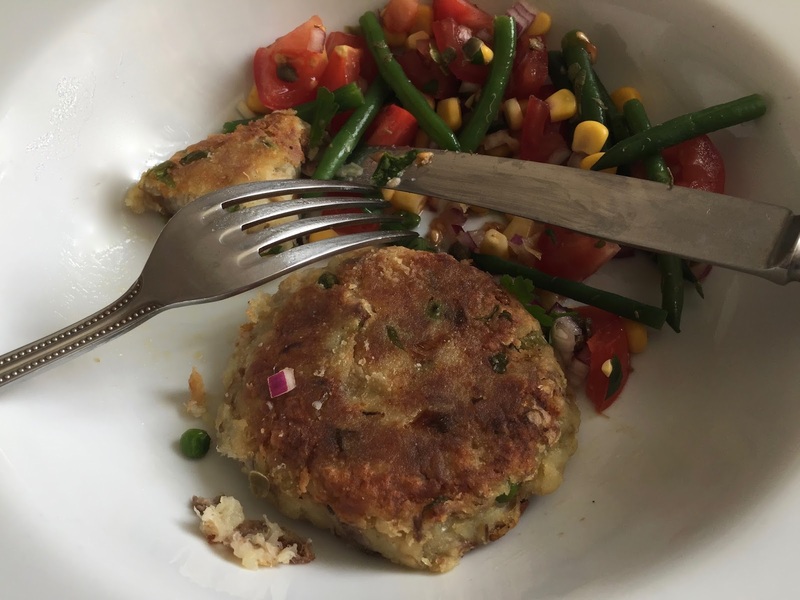 I have added the peas into the fishcakes as it’s a great way of getting vegetables into your children’s diet. You can use other strong fish in this recipe but I prefer the mackerel and its great for budget shopping. 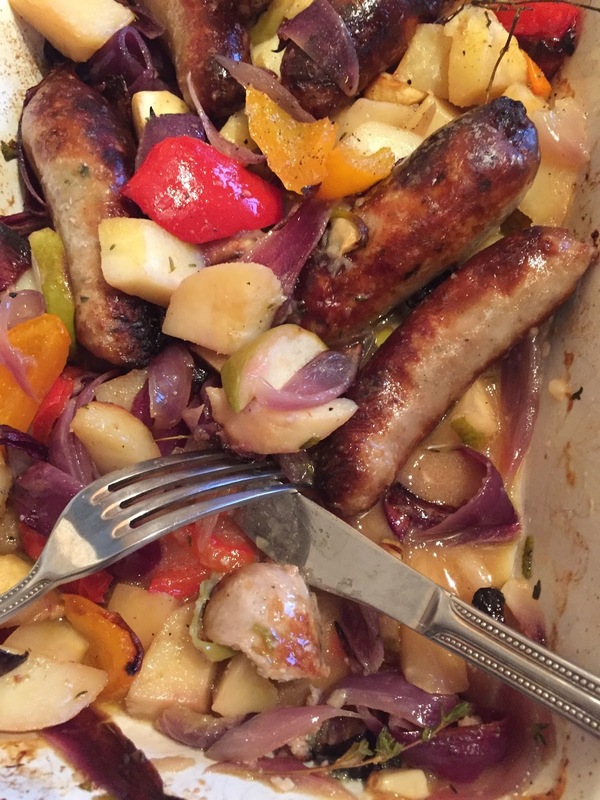 This dish will be a perfect, lighter alternative for you before all that meat is consumed over Christmas. Oh and a little tip from me also…they are great eaten cold the day after. When your potatoes are done crush them using a potato masher, leaving them still with chunks and add a little seasoning to them. Take a bowl, pop in your crushed potatoes, flake in your smoked mackerel but also leave chunky. Add spring onions, peas, lemon and seasoning and mix together with your hands. Start to form in your hand a ball like shape and flatten to form a fishcake. dust in flour and place on a plate. * If you aren’t using them all, you can freeze at this stage. Once all formed, in a frying pan heat a little oil and start to fry. Turning every couple of minutes. Once golden brown after approximately 5-6 minutes, they will be done. 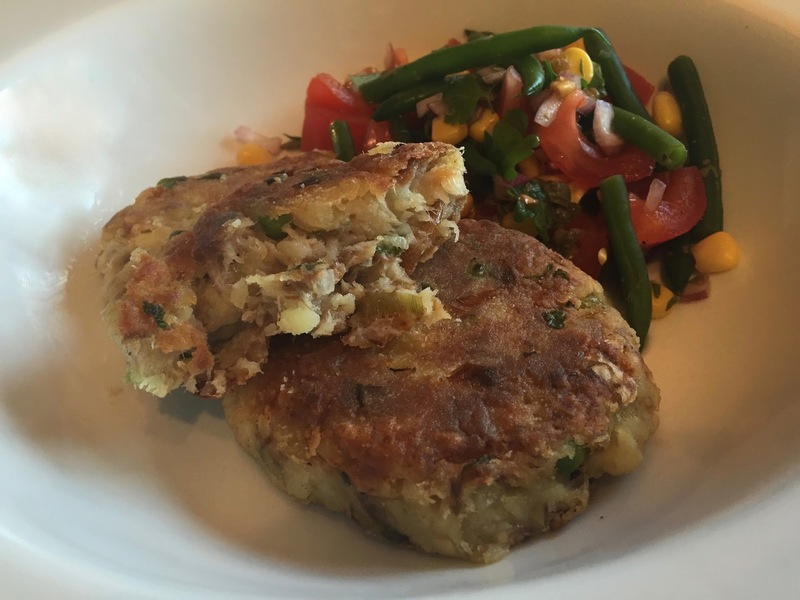 Place all fishcakes onto Kitchen paper to drain the oil. * Put all your salsa ingredients together in a bowl and serve. 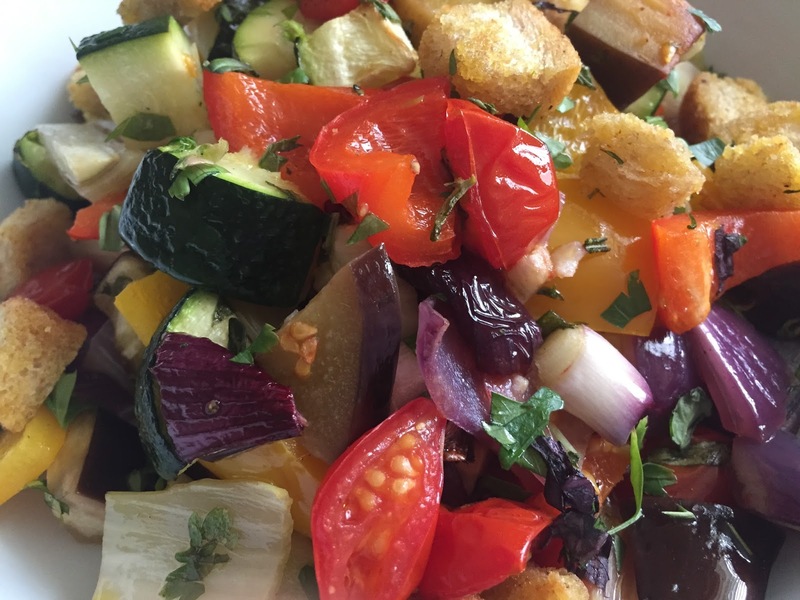 This may seem like JUST a Roasted vegetable salad to you, but to me it screams out a whole lot more. 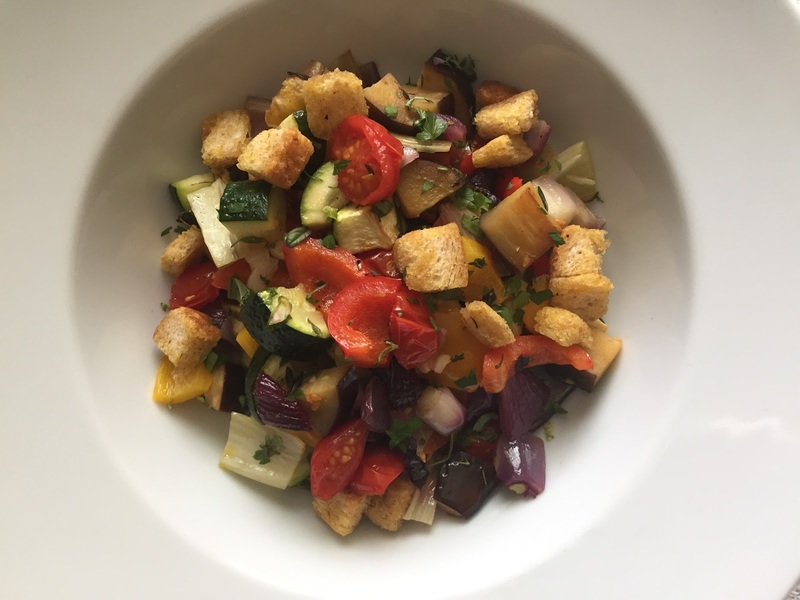 One might say this resembles a Panzanella, a Tuscan bread salad with tomatoes, olive oil and herbs served in summer, maybe it is? Throughout summer I always roast off a medley of these vegetables as the produce is pretty much all in season now and to me its just like summer in a bowl. I love the colours it gives off and the flavours are just immense. Another great thing regarding this little dish is that if you are a Kitchen gardener like myself, at some point, such as now in summer some of your homegrown vegetables will be used in it if not all. Its great for a glut of tomatoes, courgettes or peppers. By adding it to Pasta, popping on a rich cheese sauce with some dijon mustard in will make an amazing Pasta Bake. Or simply of course this dish can be the great accompaniment for barbecued/grilled meats or fish. However going back to the dish alone, Ive added fennel to mine and lots of herbs which give it that extra flavour. I personally love to sit outside with a big bowl of this and of course a large glass of wine to wash it down. As I said…Summer in a bowl. Pop into the oven for 15 minutes. 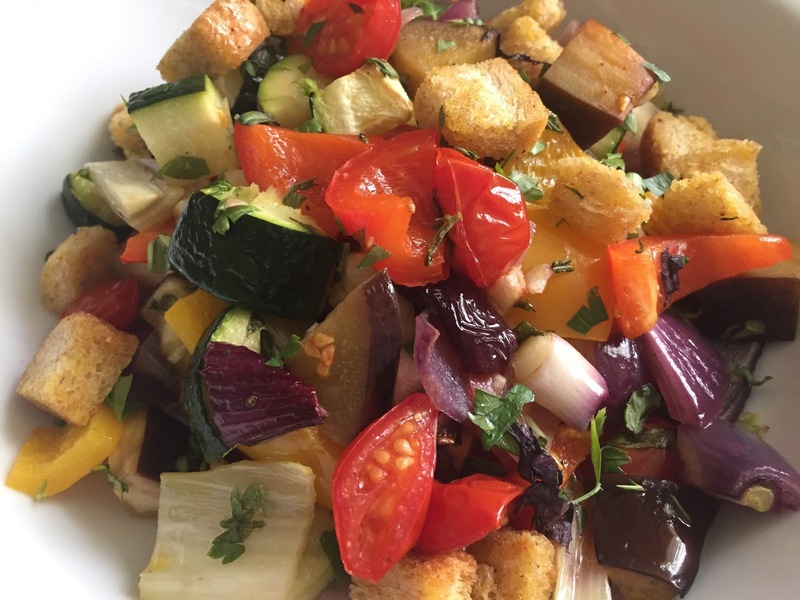 Drizzle oil over croutons, season and coat with the rosemary. Dry fry in a pan until golden brown. After 15 minutes add your most of your fresh herbs and tomatoes and pop back in the oven for approximately 30 minutes or until cooked through. * Toss the croutons through, add the rest of your herbs, a good drizzle of oil and serve in a large bowl.